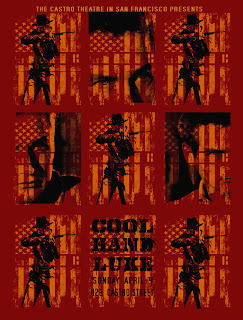 Silkscreen Poster for The Castro Theatres presentation of Cool Hand Luke playing Sunday April 4th. 19 x 25 inches. Edition of 75.